A library tasting gives you a chance to sample rare wines. ﻿﻿ A very limited number of tickets will soon go on sale for a special tasting and sale of wines from the library collection of Satek Winery, 6208 N. Van Guilder Road, Fremont, Indiana. This after-hours event for serious wine lovers is scheduled 6:00 to 8:00 PM Friday, March 18. Tickets are expected to go on sale February 15. Only 40 tickets are available, so they will go quickly. The winery is releasing for sale a limited selection of Satek wines from their reserve library to celebrate the winery's 10th anniversary. Wineries often have "libraries" where they save samples of each wine produced. 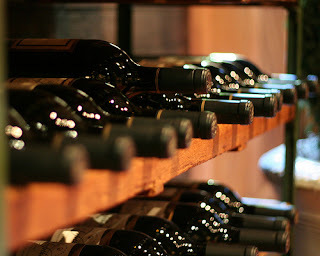 As years go by, the library is the often only place where rare vintages and premium wines from the winery can be found. A release of library wines is is very infrequent. The evening will be comprised of a guided tasting of library wines by Cellarmaster Larry Satek and head Winemaker Shane Christ. Larry and Shane will give an expert's perspective on the wines, as well as share stories of how the wines were made, and how aging wines can make them evolve and change. The tastings will be elegantly complimented by heavy hors d'ouevres catered by Apron's Gourmet, with careful attention to foods selected to enhance the flavors of the wines. There will be time for questions, as well as socializing with fellow wine lovers. The tasting will conclude with the exclusive, one-night-only opportunity to purchase the library wines you tasted, which will not be released to the general public. The list of wines to be tasted is still being determined, but will primarily include dry red wines from the past decade. Tickets will sell for $40 each, and will be available for purchase beginning in mid-February. Only 40 tickets will be sold for this first-ever Satek Winery Library Tasting. The offer for tickets will be sent to Satek's mailing list, so if you want to get tickets you'll need to contact the winery directly.